According to various European press reports, Avigdor Lieberman, Israel's foreign minister, has ordered its embassies in 10 European countries, including the UK, each to recruit 1,000 members of the public to act as advocates for its policies in a new public relations offensive aimed at improving Israel's standing in Europe. These individuals – likely to be drawn from Jewish or Christian activists, academics, journalists and students – will be briefed regularly by Israeli officials and encouraged to speak up for Israel at public meetings or write letters or articles for the press. One source described them as "friends who are willing not just to receive (Jewish) messages but to actively promote these messages". This extensive organisation is part of the source of the power of the Jewish lobby, and you would have to be blind to not see it, and a fool to deny its existence. The Jews aren't the only ones with lobbying power of course, but the Palestinians unfortunately have none. 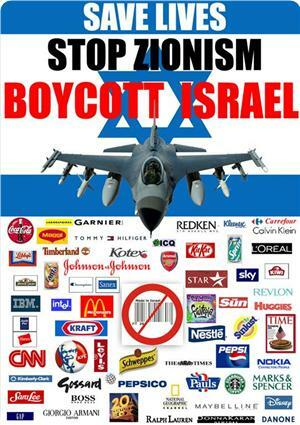 It's an extensive propaganda campaign to 'cleanse' Israel's image abroad. The objection to this is that it is used to cover up brutality and atrocities on the part of the government of Israel or of various groups of Jews during various periods of history. There is no evidence that all Jews everywhere are in favor of this, but I'm not aware that many of them file complaints either. There is also Hasbara, the extensive worldwide volunteer brigade that trolls the internet for related topics as well as being active in other forums, with the same intent. 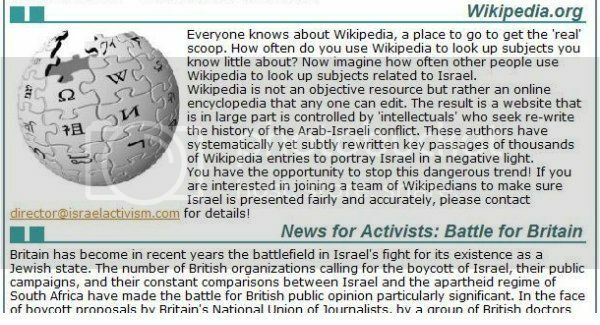 And of course there is the extensive rewriting of Wikipedia mentioned below, as well as the countless individuals claimed to use Google Alerts to notify them of any mention of Jews or Israel anywhere on the Internet, and who then proceed to 'sanitise' the topics. In the case of China and Chinese history, there seems to be far too much of this being done. It appears that opportunities are taken to attack China even without provocation, perhaps to set the stage for the specific "blame the victim" denunciations that will emerge later in relation to opium, the Yuanmingyuan and other issues. Lest you think this Hasbara organisation is a figment of someone's imagination or a "conspiracy theory", or just more "anti-Semitism", read the text in the photo-capture below. Hasbara is real, it's worldwide, and it's pervasive. And it isn't only on Wikipedia where we can observe this activity. On many online forums, such as those on most news websites which permit reader comments on various news articles, we see enlightening examples of this behavior. One of the worst is The Economist, where even simple statements of fact about Israel or the Jews will almost always produce a flood of attacks on the poster. It is not uncommon for a post mentioning that, for example, Jewish interests control virtually the entire Hollywood movie scene, to result in the poster being disparaged as 'anti-Semitic', a Nazi, a holocaust-denier, or even a 'self-hating Jew'. 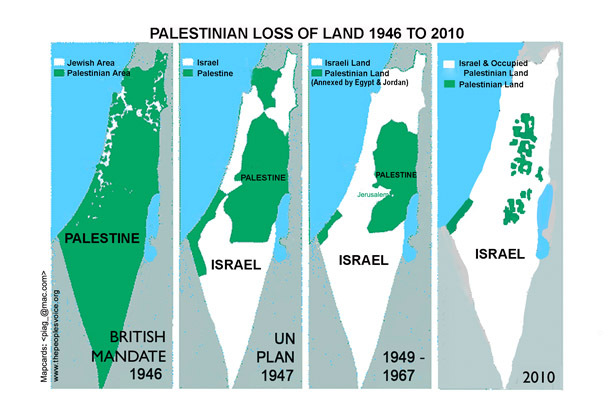 One of the benefits this massive brain-washing campaign buys for Israel. There is no shortage of reported stories of even very senior people losing their jobs immediately upon making public comments critical of the Jews or of Israel - regardless of how true those comments are. As a British journalist in the US put it, "As to my professed fear of ticking off Jews being some kind of affectation or pose, I can only assure you that this is not so. Almost the first thing you hear from old hands when you go into opinion journalism in the U.S. is - to put it in the precise form I first heard it - "Don’t f*ck with the Jews." Joe Sobran expressed it with his usual hyperbole: "You must only ever write of us as a passive, powerless, historically oppressed minority, struggling to maintain our ancient identity in a world where all the odds are against us, poor helpless us, poor persecuted and beleaguered us! Otherwise we will smash you to pieces." That last paragraph is the perfect example of how these magnanimous souls use lies and deceit to control the world of idiotic believers. Especially the "smash you to pieces." Except Israel gets the USA to do the dirty work, since all they can handle is shooting kids in the head and pregnant mothers in the stomach.